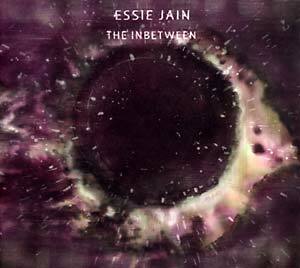 "The Leaf Label is proud to present a special reissue of Essie Jain's stunning 2008 album, The Inbetween -- a high point for the songwriter that explores the nuances of intimacy as she never has before. The Inbetween's songs are direct and captivating in their honesty, and serve to reflect the artful beauty that can result from periods of clarity. After the release of 2007's We Made This Ourselves, Jain led her band around the country on tours before returning to New York and jumping back into writing and recording. Having solidified a fellow group of musicians, the British-born Jain drew from current challenges in her life. 'I was in this space where things weren't ready to take their next shape yet -- in some ways it was a really beautiful experience, because you can't force things and it nails you down, and in another, you can see the opening into the next chapter and you can't reach it,' she says. Music serves as a means towards making sense of a situation, and Jain chose to name her record The Inbetween in order to highlight the ephemeral nature of the issues she addresses. Recording with a larger group of musicians, Jain experimented with new ways of orchestrate songs. 'The record had a personality that came about and evolved of its own accord, whereas the first record had a tighter lid on it, because I needed it to be a more internal piece.' The Inbetween features an array of instruments -- French horn, clarinet, Rhodes, cello, trumpet -- but none are more central to the songs than Jain's vocals, which remain the strident and captivating centerpiece of each composition." 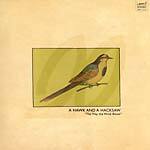 Includes two bonus tracks.